Here at Fire Safety Store we have been providing high quality fire alarm test equipment for a number of years. 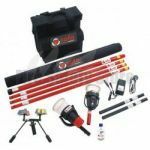 Many homes and business outfits have benefited from our top of the range scope of products in this time span and we are now delighted to be able add fire alarm test equipment to our brimming catalogue of excellent fire protocol and system items. Fire alarm testing plays a huge role in the maintenance and upkeep of systems to ensure they are ready and capable of providing sufficient safeguarding of people and premises. In the case of quite a few alarms, it is simply a case of pushing a test button to determine that the unit in question is in full working order. Bigger systems though don’t generally rely on button assisted assessment and require additional fire alarm test equipment and that’s where our handheld canisters can help you protect your building. We have canisters of smoke and carbon monoxide available so you can check that your detectors and alarms are offering you the protection you need and deserve. Our range consists of the Solo Sabre Handheld, Solo C3 Carbon Monoxide and Solo A3 Smoke Detector testing apparatus. 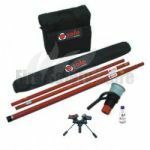 The Solo Sabre Handheld Test Smoke is suitable for testing with all makes and models of smoke detector. 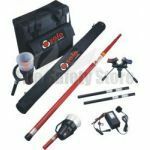 It comes complete with a telescopic funnel to help get to those out of reach and high up detectors without spraying smoke where you don’t want it to go. The Solo A3 Smoke Detector Gas on offer from Fire Safety store is specially designed for use in the Solo Smoke Detector Tester and as such is suitable for all detector types. It can however, still be used as a handheld canister in its own right if you would prefer. The Solo C3 Carbon Monoxide Test Gas canister is a specialist piece of fire alarm test equipment. Available in a compressed 250ml can, it can be used to test all types of carbon monoxide detector that are integrated as part of a fire system. The canister does of course contain carbon monoxide so special care and attention must be used when handling and spraying to ensure that nobody is harmed in the use of this product. On top of our fantastic fire alarm test equipment spray canisters, we can also offer the Solo A7 Detector Duster. 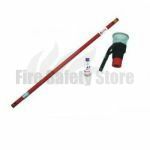 The 250ml handheld can is a handy cleaning product suitable for all fire and carbon monoxide detector. 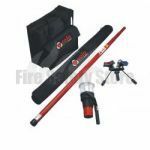 Easy to use and offering complete dusting of detectors, it can prolong the life and effectiveness of your fire system. If you have any additional questions concerning our fire alarm test equipment or any other of our products, give us a call for free on: 0800 316 0890 and we’d be happy to talk you through anything that’s on your mind. We have a delivery option for every situation including a next day service. Place your order before 2pm and you could receive your products the next day.